The history of Collège Champittet and development of our Nyon campus. Our private school in Nyon was opened in 2004, and stands on over a century of outstanding private education at Collège Champittet. 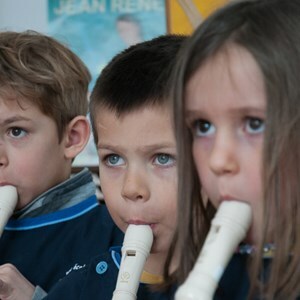 Our private school in Nyon offers a modern and stimulating learning environment for children from 3 to 10 years old. We pursue excellence in all we do and combine the latest effective teaching methods with trusted traditional approaches. While the Nyon private school is a relatively new addition to our family, the story of Collège Champittet dates back more than a century. 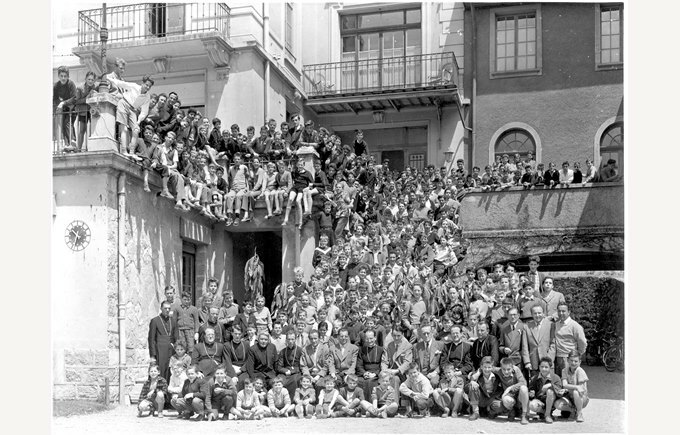 1903: The prestigious private school Collège Champittet is established by Dominican Fathers. 1951: Capitular fathers of the Great Saint-Bernard take on the running of the private school, a role they would maintain until 1998. 1960: Demand for places at the private school becomes so great that a new school building is opened. More than 600 students now study at Collège Champittet. 1984: Collège Champittet welcomes girls for the first time into the school. 1998: The private school is handed over to a team of professional managers who modernise it while maintaining the strong Christian values. In the same year, the school opens its junior section. 2004: The private school in Nyon is opened 20 kilometres from Geneva, offering Kindergarten and Primary school up to 12 years old. The school also opens a creche in Lausanne catering for children aged 18 to 48 months. 2006: Collège Champittet announces it is becoming a bilingual private school, offering a firm grounding in English and French. 2009: Collège Champittet joins the Nord Anglia Education family of premium international schools across the world. 2012: The school announces an initiative that will put new technology in the classroom. Primary students are given iPads to assist with studying, while Secondary school students in Pully receive MacBook Air laptops. From September 2013, all students and teachers from 4th to 14th grade receive their own iPad provided by the school. 2016: Helping hand to Mont Olivet from Collège Champittet Pully, the two Lausanne private schools become one. 2018: The private school celebrates its 115th anniversary. We are proud of the reputation we have built as a school of reference for those who want their child to receive a top-quality education in Switzerland.